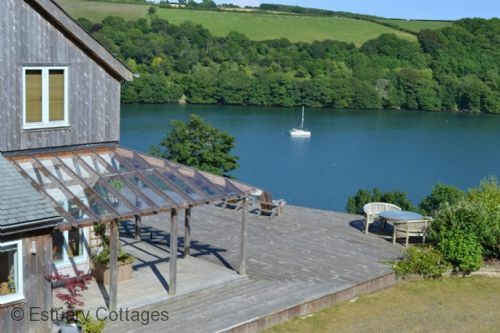 When booking ahead just isn't an option, come to us for the very best deals on last minute holiday cottages in Fowey, Cornwall. Our special offers on cottages, houses and apartments of all shapes and sizes will ensure you find the right property at the right price. Browse through our special offers and if you have any queries, or special requirements, please call us on 01726 832965. Larboard is an imaginatively reconfigured and renovated three storey Victorian town house, situated close to the car park at Caffa Mill with some delightful views of the river, ferry and the docks. 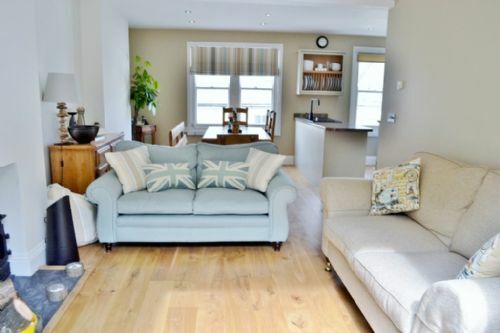 Meadowside is a smart, modern 2 bedroom apartment and offers 2 bathrooms, lovely countryside views and has parking for 2 cars. Short breaks are accepted throughout the year even in school holidays! SPECIAL OFFER....15% DISCOUNT ON ANY 7 NIGHTS BOOKED THROUGHOUT THE YEAR - ALSO SHORT BREAKS OFFERED THROUGHOUT THE YEAR INCLUDING SCHOOL HOLIDAYS! 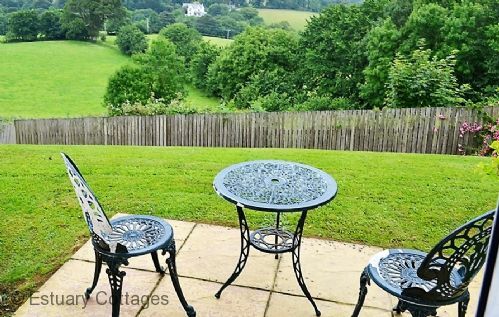 'Owls Rest' is a delightful, modern, 2 bedroom, first floor apartment set in a quiet location at the top of town with lovely views of the countryside. SHORT BREAKS OFFERED THROUGHOUT THE YEAR. 3, 4 or 5 nights even during school holidays!! 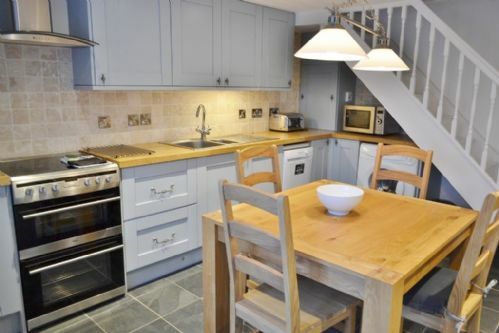 This charming 2 bedroom, 3 storey cottage is situated just beyond St Fimbarrus Church and is on a short walk down to the centre of Fowey, with its shops, restaurants, harbour and quays. 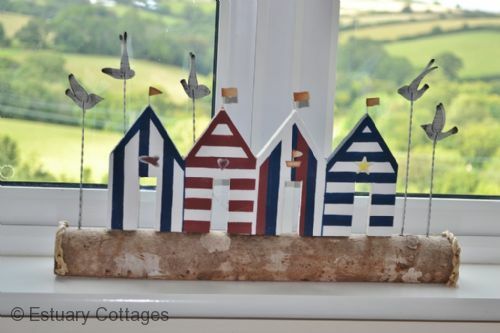 SPECIAL OFFER - 15 % OFF FOR ANY REMAINING WEEKS UP TO 25th JULY. St Catherine's Court is a fine Victorian residence in a prime position overlooking the Estuary. 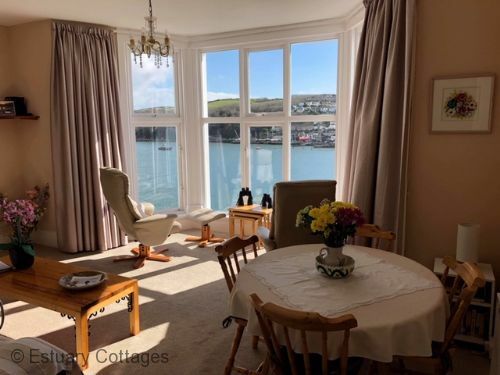 The apartment, No 7 is on the second floor and commands excellent views of the river, sea and across to Polruan from the large bay window. The sandy beach at Readymoney Cove is only a five minute walk away and a ten minute stroll into the town centre in the opposite direction. 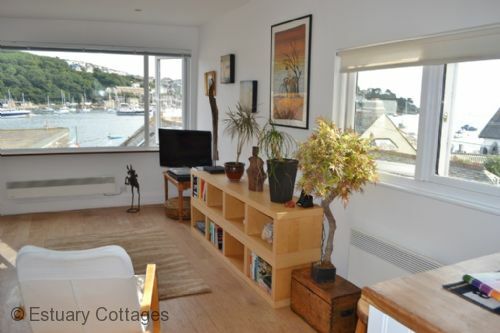 Sunseekers is a beautiful, modern, 3 bedroom apartment situated on the Esplanade with stunning views of the river, Polruan and out to sea. 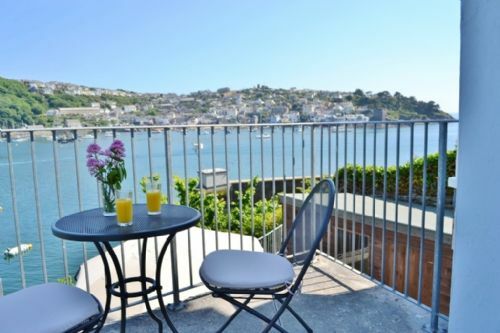 The property is furnished to a very high standard and offers good quality accommodation, parking and a delightful balcony affording fabulous views. 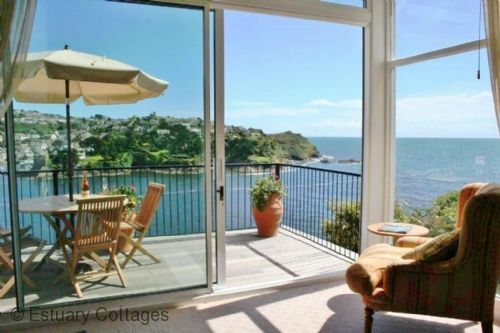 Situated only a short walk to the centre of the town, or the beach at Readymoney Cove.